Are you ready for your managers to be more coach-like? Do you want to bring a coaching culture into your organization? The Coaching Clinic is a two-day leadership program designed to train managers, executives, leaders and supervisors to use coaching techniques in their work relationships, and thus gain the advantages of bringing a coach approach to managing people. For The Coaching Clinic one page brochure, click here. The Coaching Conversation is a half-day program built around one of the core concepts from The Coaching Clinic: The Coaching Conversation communication model. This five-step model helps structure coaching and performance-related conversations for more effective communication, leading to better outcomes. For The Coaching Conversation one page brochure, click here. 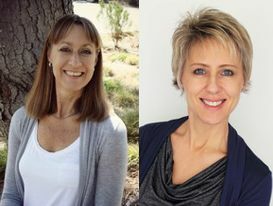 Carly Anderson and Karen Boskemper are both qualified to lead The Coaching Clinic programs.